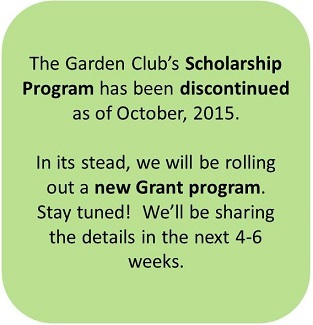 Scholarship Program Discontinued – new Grant Program coming soon! We wish to thank the many outstanding students who have applied for our scholarships over the years. The calibre of applicants has been extremely high every year and we commend you all for your scholarship and hard work! However, the club has decided to try a new and different way of giving to the Camas-Washougal community and encouraging love of gardening and responsible stewardship of the environment. Instead of giving directly to students in the form of Scholarships, we’ll be giving directly to Teachers, in the form of Grants. Stay tuned! We will be rolling out a new “Grant Program” over the next 4-6 weeks.